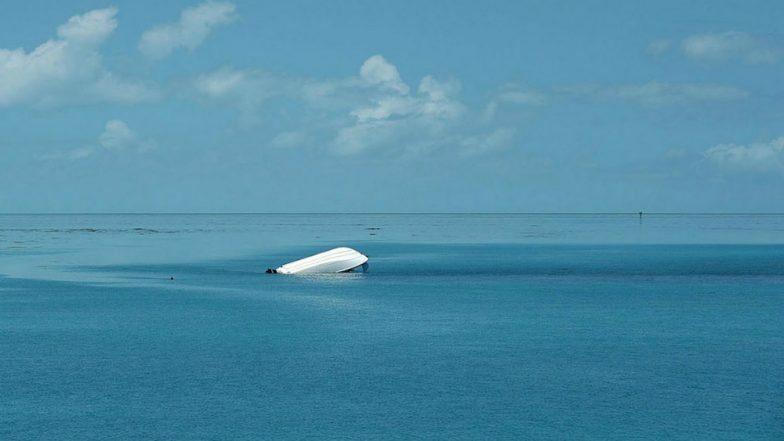 Goma, April 17: As many as 150 people went missing after a passenger boat sank on Monday evening in an eastern lake in the Democratic Republic of Congo, President Felix Tshisekedi said. Details of the accident were only just emerging on Wednesday, according to CNN. Tshisekedi said he was "very saddened" by the news and extended his condolences to the families of the missing. "I am very saddened by the shipwreck on Lake Kivu. The provisional toll is 150 people missing," he tweeted. 20 Feared Dead in Zambia Boat Accident. The boat set off on Monday from the village of Kituku, near the city of Goma on Lake Kivu's northern shore, and sank in South Kivu province near the territory of Kalehe. Vital Muhini, national deputy from South Kivu province, said the cause of the accident was not known. "For the moment, we want to have the exact number and the names of people who embarked the boat." According to him, 37 people had been rescued and three bodies were recovered. Initial investigations revealed that passengers were not wearing life jackets and a passenger manifest was not available to account for the total number of people onboard, Muhini said. Tanzania Passenger Ferry Capsizes: Death Toll Rises to 126 After Boat Drowned in Lake Victoria.